Verizon on Thursday said it would publish a report that would disclose data on the number of law enforcement requests it received for customer information in 2013 in the United States and other nations in which it does business. 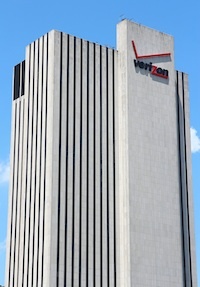 Verizon's transparency report will identify the total number of law enforcement agency requests received from government authorities in criminal cases, the telecommunications giant said. The report will also break out user data by category such as subpoenas, court orders and warrants. Verizon will also provide other details about the legal demands it receives, as well as information about requests for information in emergencies. Verizon said the first report would come in early 2014, with updates being published semi-annually. "Verizon is committed to our customers' privacy, and we do not sell information that individually identifies our customers to third parties without our customers' consent,” Randal S. Milch, executive vice president, public policy, and general counsel, said in a statement. Verizon joins a handful of companies, including Microsoft, Facebook, Twitter, Google and Yahoo!, which have started to disclose how often governments demand user data, and how they comply with those demands. Verizon also said that it is working with the U.S. government regarding the detail the company can report on the number of National Security Letters it received last year. Verizon said its transparency report will not disclose information about other national security requests it received.